Ahhh, Arizona spring ball! 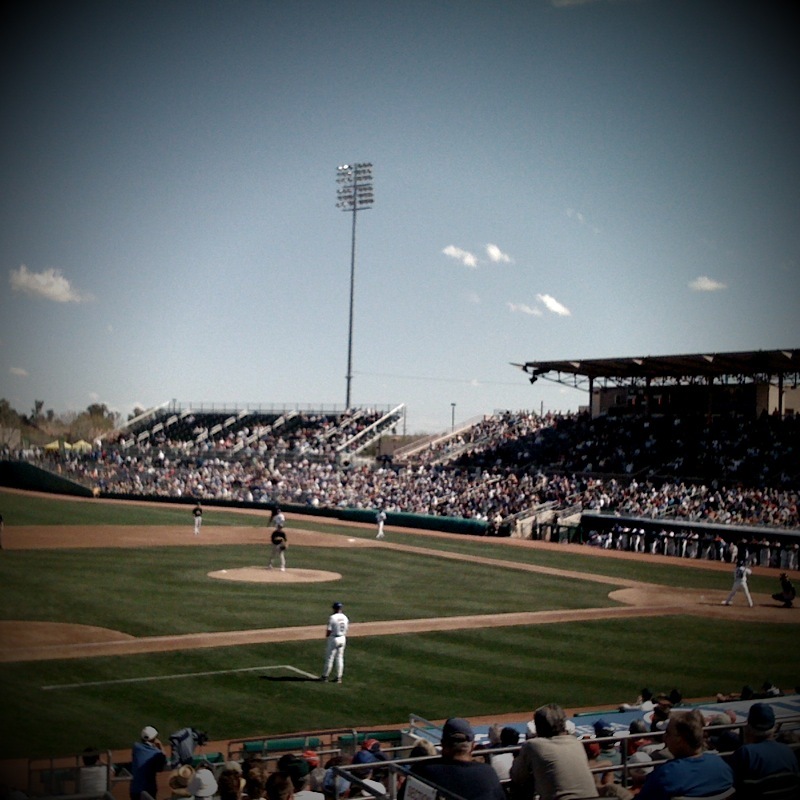 I couldn’t help but feel a little giddiness while parking the rental car and walking up to the gates of HoHoKam Park, home of the Chicago Cubs in Mesa, Arizona. Sure, I went to nearly 100 ballgames last season and I’ll probably go to close that many more this season, but there’s nothing like the first few cracks of the bats of the season! I arranged tickets through the A’s and was seated in a section with the other A’s fans in stadium. Even though we were outnumbered by the Cubs fans, it hardly mattered…everyone was decked out in their green and gold and cheered loudly for a Trevor Cahill strikeout or an awesome play at third by newcomer Jake Fox. And of course, Adam Rosales’ solo homerun in the fifth really got us going! Part of the fun of today’s game was seeing some familiar fan faces. After all, when you spend nearly 300 hours with some of these people during the regular season, they become good friends, fast. 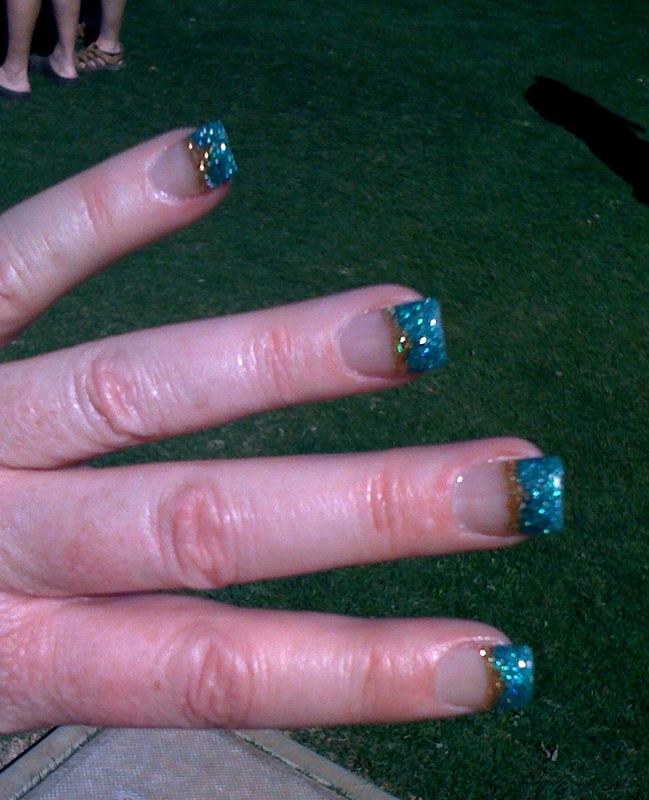 Six months between ballgames also starts to feel like a long time after the seasonal routine of day in, day out… These fingernails (photo to the right) belong to Heidi, one of the A’s most dedicated season ticket holders. When I ran into her behind the A’s bullpen, she told me the start time to her roadtrip down to AZ was delayed by a few hours yesterday just to get her nails painted. Well worth it, I’d say! A green and gold French manicure? Now that’s dedication!